Betaine has been reported to play a role in reducing blood levels of homocysteine. During the past few years, elevated blood levels of homocysteine have been linked to increased risk of premature coronary artery disease, stroke, and thromboembolism (venous blood clots), even among people who have normal cholesterol levels. 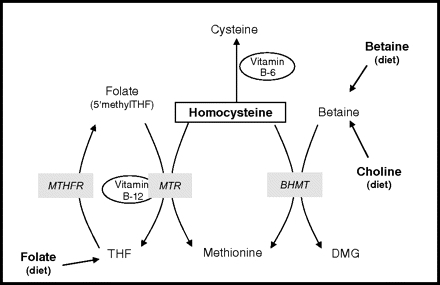 Abnormal homocysteine levels also appear to contribute to atherosclerosis.